Finished raw milk kefir, ready for the fridge. You may or may not have heard all the fuss about fermented foods. And you may or may not have starting fermenting at your house. But either way, it’s something which you may want to follow. Why? 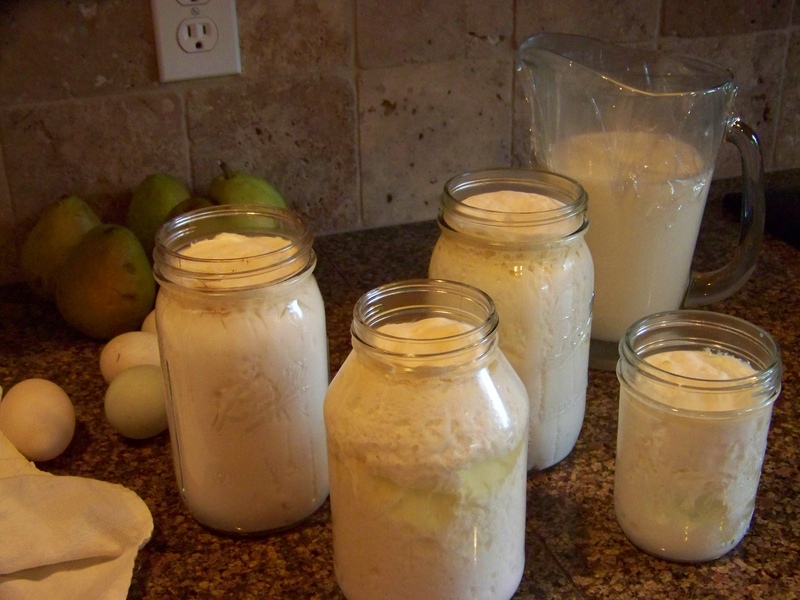 Because unlike many of the health fads, fermenting is…well, not a fad. It’s been around from the beginning of time, not just to break down waste into compost, but to break down FOOD into more absorbable, nutritious, and tasty eats. In every culture, you have mums intentionally fermenting foods and feeding it to young and old alike. Some may not call it fermenting, or may not know a thing about lactic acid or good bacteria, but they are doing it none-the-less: kimchi, sauerkraut, kefir, salami, pickles, kombucha, yogurt, cheese, wine, tamari, miso, tempeh, natto, sourdough. We have more bacteria in our guts than cells in our bodies (10 to 1, in fact). Our first bacteria comes from our mother at birth and is necessary to the development of our immune system after birth (Yay, Mom!). Unless we were born by C-section, then our bacteria may come from mom, or probably from bacteria in the hospital (um, ok). In which case, we are at greater risk for developing asthma, allergies, and gastroenteritis (oh dear!). But, we continue to get doses of the healthy bacteria at each feeding of breastmilk (yay for Mom again, and yay for the back-up plan!). You can buy probiotics in many different combinations of strains, quantities, and delivery methods. Which I have done regularly for over a decade, and I’m grateful for the availability of these specific strains (because sometimes, it’s good to troubleshoot with specifics). But, I’ve found the most help over the years by the foods that are packed with good bacteria, so I’m cranking up my ferments. Raw milk kefir is an every-week staple here, but this week I’m excited to try a watermelon juice, a Daikon radish ferment, and a Jun variety of kombucha. I’m following a fermenting expert I’m lucky enough to know as a friend: Jane Casey of Jane Casey’s Kitchen. She’s amazing, fun, and has an amazing true story of twin sons who were profoundly autistic, but now aren’t. At all. Because of ferments. I’m learning a ton (like: using ingestable essential oils to promote fermentation…wha??). Best tip of the week: use folded fresh grape leaves to keep the veggies all submerged (this is like the main rule of fermenting veggies: keep them under the brine so they don’t mold). I will keep you posted, because we have a special project coming for these classes, live and local. Do you ferment? What’s on your counter now? Not everyone can tolerate dairy products, but for those who can, it is a rich source of minerals, protein, and healthy saturated fats IF sourced from healthy animals. Some people groups in Africa thrive on a diet made up nearly entirely of raw milk from their herds. Change from conventional milk to organic milk. Skim, 1% and 2% milks have thickeners added to them; opt out by choosing whole milk. Homogenization has been linked to arterial plaque; opt out by choosing unhomogenized. Your choice to skim the cream for your coffee, or shake the whole jug before pouring. Raw milk (unpasteurized) from pastured (grassfed) animals is the BEST milk, as it is richest in minerals, enzymes and probiotics. Dungeness Valley Creamery supplies this delicious cow milk to WA state; if you prefer goat milk, search for a local source. Change from conventional yogurt, cottage cheese, and kefir, to organic products, or make your own from raw/organic/pastured milk. Change from conventional butter, sour cream, and cream to organic butter, sour cream, and cream. Conventional butter was listed on a recent “top ten most toxic foods” list, which is not surprising since so many of todays petrochemical toxins settle in the fats of animals. Yet organic butters and cream have been highly revered by healthy indigenous people groups for their health giving properties. Change from conventional cheese to raw, organic cheese, if you can find it (see notes about raw milk below). Change from “soy dairy” products (soy milk, soy protein) to almond, hemp, hazelnut, or rice milks (hemp having the best nutrition, and it’s delicious) if cow/goat dairy is not tolerated. Organic coconut oil can be used in place of butter for those with a dairy allergy. See note below on why I avoid soy. If lactose intolerance is the reason you avoid dairy products, try culturing your own yogurt from organic milk. When you use a 24 hours process to culture the yogurt (or kefir if desired), nearly no lactose is present at the end of the process. 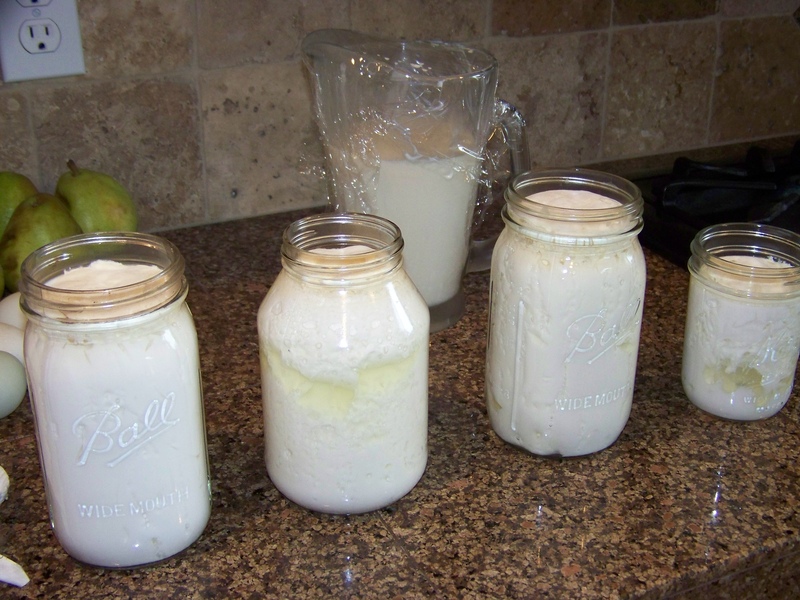 Making yogurt and kefir is not difficult; find directions here. The long culturing process yields a very sour “European” flavor, which can be sweetened if you desire with jams, maple syrup, or honey. I have found that fresh goat milk loses its “goaty” aftertaste when cultured this long. The same process for 24 hour yogurt can be done with whipping cream for amazingly delicious Creme Fraiche. Worried about contamination? Studies which purposefully introduced pathogenic bacteria into raw milk (still “living” with enzymes, probiotics, and immune factors) show that the milk protects itself by destroying pathogenic bacteria. Conversely, pasturized (“dead”) milk no longer carries this protection; hundreds are made sick on pasturized milk annually in the US. Once milk is cultured (into cheese, yogurt, cottage cheese, etc.) this risk is lowered by the competing bacteria of the culture. Certified Raw dairies undergo far stricter testing of products than conventional dairies. Trader Joes has the best prices around (by far) for a full range of organic dairy products. I buy butter, cream, sour cream, and cottage cheese there. They also have a stunning selection of cheeses, most at fabulous prices. I sometimes buy the Grassfed Cheddar (New Zealand), and sometimes the Raw Cheddar. We also love the Cotswold cheese from England (which is neither organic, or raw, but you can taste the richness of the milk which makes me confident the cows are grazing grass). The Shredded Parmesan cheese (in a bag) is a raw cheese (and high in absorbable calcium); and excellent choice. I make my own kefir from Dungeness Valley raw milk, which we drink on occasion as well, when I’m not making it into pudding, ice cream, etc. Goat milk is best fresh (for flavor), so I don’t really recommend buying it from Trader Joes, although if that is your only option (say for a toddler who can’t tolerate cow milk) I would certainly recommend it over any “milk substitute”. Best to find a local dairy for raw milk (as I have), or if you are inclined, buy a goat as a pet which actually contributes to the family table! If you have to use dairy substitutes, hemp milk is cheaper when you buy a case through a co-op; this option may be available at your health food store. 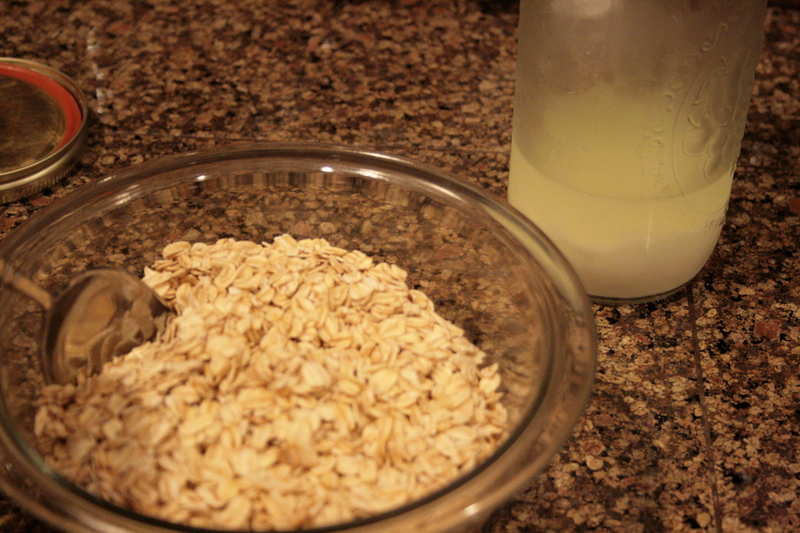 You can make your own rice milk really cheap (and pretty easy) using this Rice Milk Recipe. Conventional dairy products in the US come from “factory farmed” cows, which may or may not ever see a pasture, but most certainly dine on soy and corn based feed laced with pesticides, antibiotics, and by-products from slaughter houses. In some states, farms are allowed to inject the cows with growth hormones with cause them to produce more milk, which wears out the cow and results in fewer productive years (but at heavier production) before going to the slaughterhouse herself. (This is not allowed in OR or WA.) Since the food she receives (grain based) is such a poor diet for her, she is likely to be sick often, and treated with antibiotics. You can bet that all the toxins going into her make their way into her milk, and the butter, cheese, yogurt, and other products made from it. Conventional soy is one of the most pesticide laden crops in the US, and even organic soy can hardly boast a health claim as soy is an endocrine disruptor (mimics estrogen in the body). There are tons of “studies” done to show the “health benefits” of soy. Guess who pays for these studies, and their publicity? The Soy Industry. Lesser known studies link soy formulas to early puberty in girls, delayed or decreased fertility in boys, and doubling of diabetes risk for all children. I avoid it like the plague (except fermented soy products used in traditionally small amounts, such as Tamari). Although USDA Organic certification brings with it peace of mind for the consumer, there is a cost to the farmer (passed on to the consumer) for this rubber stamp. You may be able to find a local dairy which can demonstrate to you the health and humane treatment of their animals, and quality of their product so that you don’t need the label to feel good about using their products. Especially important is to inquire about the feed of their animals; even a cow fed 100% organic grain but kept in the feedlot will not be as healthy as the cow allowed to graze on green grasses. I’m planning to make the High Protein Waffles, but I’ve never soaked grains before, and I am unclear on the process. I looked around a little on the internet, and it wasn’t much clearer. Did you separate your own whey from milk, or buy whey powder and reconstitute it, or would you suggest I just use yogurt? I haven’t even purchased the whey (or yogurt) yet, so if you have some direction on that, I’d appreciate it! Soaking grains is pretty straight forward, although I know it can seem daunting at first since this practice has been all but abandoned in modern cooking. To soak my oats, I measure them into a glass bowl; you’ll want one large enough that there is some space left for the whey or yogurt. You can see my whey here in the picture. 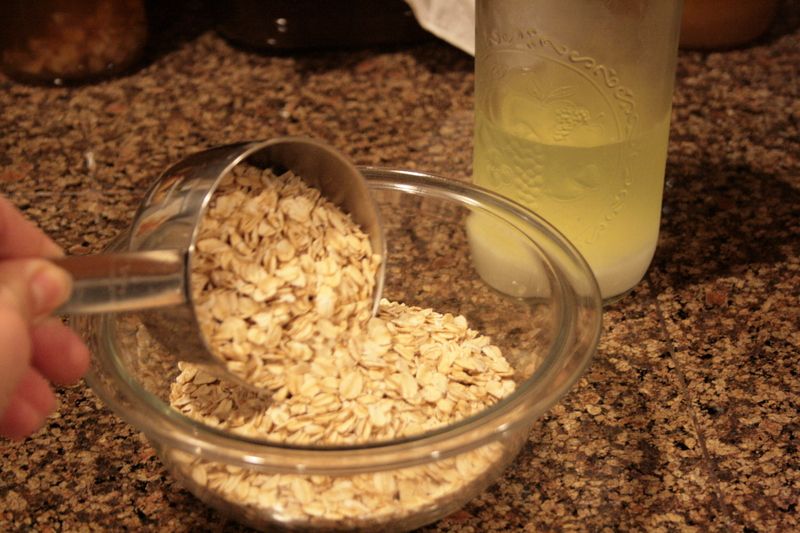 Pour the liquid/yogurt on top of the oats and begin to incorporate with a small spoon. 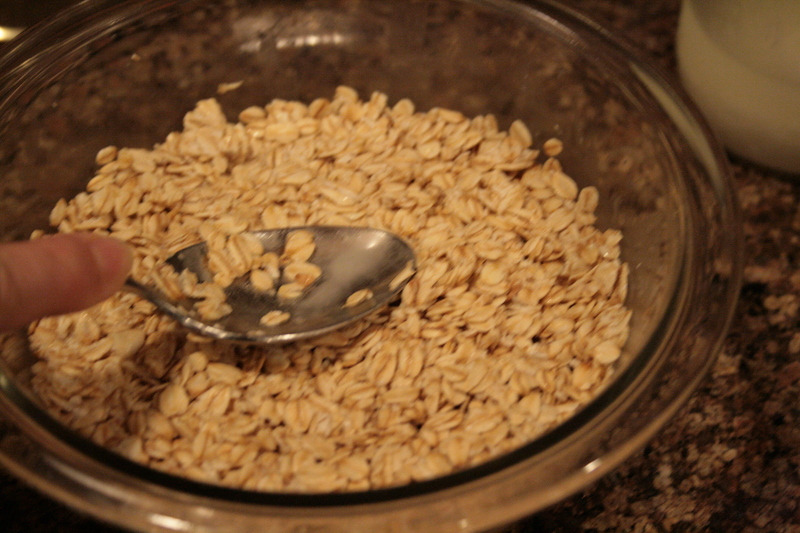 Stir the wet and dry together until there aren’t any dry oats left. Then smash them down firmly in the bowl with the back of the spoon. There shouldn’t be any pooling wet areas. 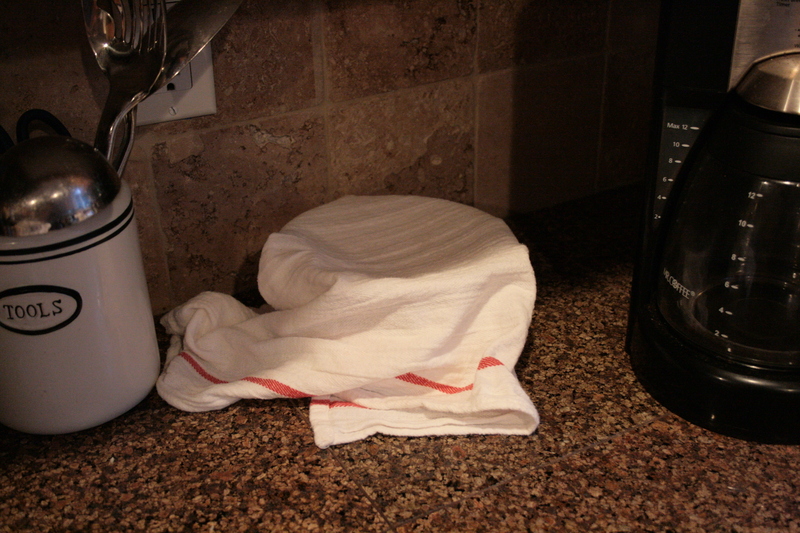 Cover with a dish towel and place on the countertop, or another warmish clean place, for 12-24 hours. 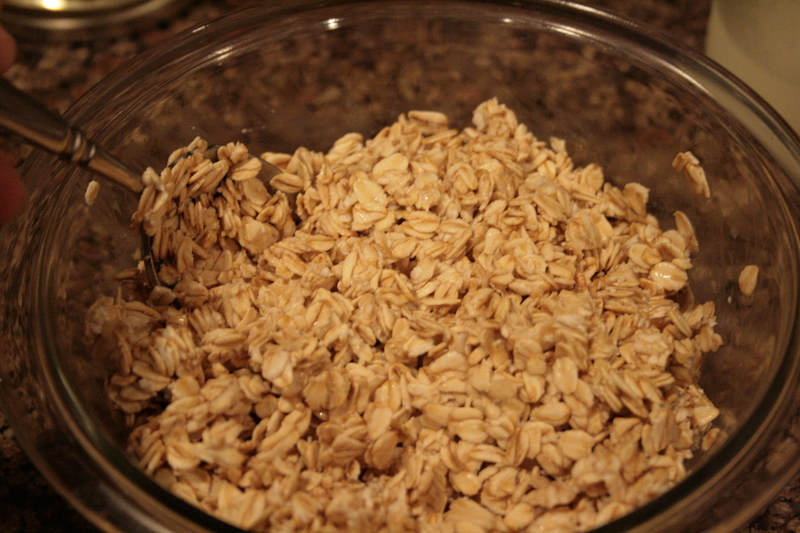 At the end of this time, you’ll notice that the oats seem to have dried out some, and are stuck into a clump which will need a little bit of breaking up before putting into the blender. 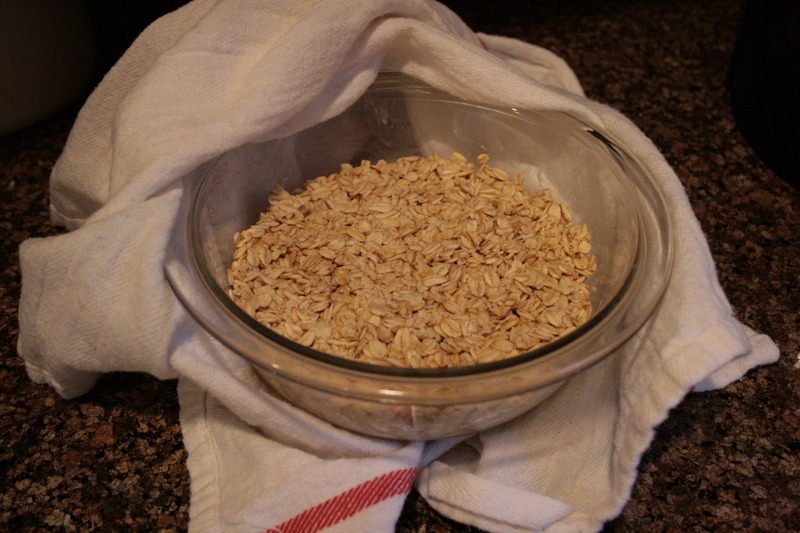 If you double or triple the recipe, you can soak all the oats together and then evenly divide them the next day after soaking. Since they are stuck together in a chunk, it’s not to hard to cut them evenly. However, I recommend only making one batch at a time (unless you have a really strong blender) as doubling the batch makes it difficult to completely blend the oats into the eggs and cottage cheese mixture. Whey and yogurt can both be used in this recipe. If you use yogurt you’ll need to use a little more than if using whey, since it is thicker and won’t mix with the oats as freely. I often use whey just because I have it on hand when it has separated from the kefir I make continually on my countertop. 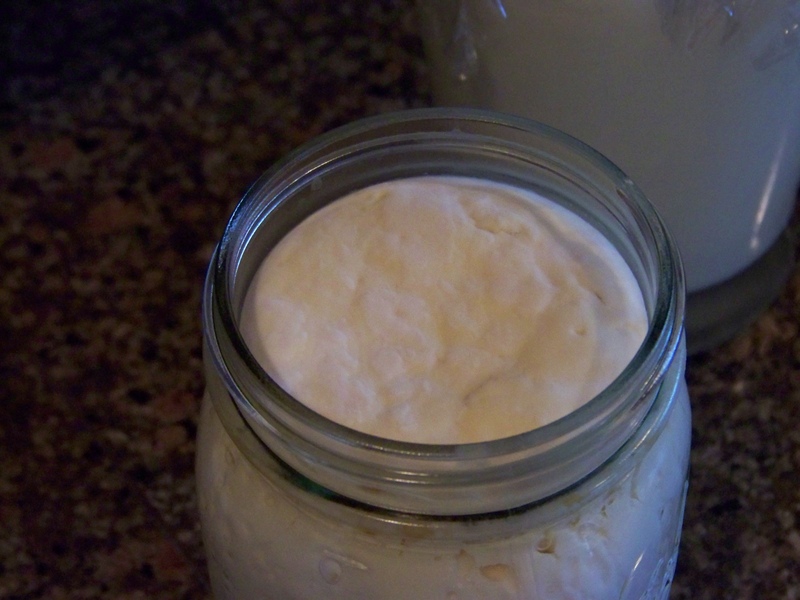 If the whey hasn’t separated, I use the kefir or a plain yogurt, which is probably what you should do at this point. Here’s a picture of oats soaked in yogurt. These soaking agents are actually souring the oats, and the waffles will have a pleasant sourdough flavor. I think kefir makes them more sour than yogurt, but it is pretty inconsequential. The acids and bacteria in the whey/yogurt are the agents that are eating away at the sugars in the oats, and dismantling some of the anti-nutrients like phytic acid. Therefore, whey powder (protein powder) reconstituted would not work for this purpose, as it no longer has these active cultures at work. The waffles freeze well after cooling, and can then be toasted for a quick snack later. I feel like my kitchen has become something between a test kitchen and a science lab. Not that what I’m doing hasn’t been done by thousands, likely millions, of people over centuries; it’s just never been done by me, in my kitchen, for consumption by my loved ones. I’m culturing raw milk. Yes, I now have a weekly source for raw cow milk . . . unpasteurized means it hasn’t had the protein damaged by the high heat (researchers now believe that the damaged milk cells left in pasteurized milk are a top reason for allergies to it) plus all the immune boosting enzymes are left alive and intact to boost our immune systems. AND, there is quite a quantity of probiotics in the milk, which has been proven by the easy time I’ve had culturing it. I have made yogurt and kefir in the past with pasteurized milk, but it was a bit of an exact science with heating the milk properly, adding just the right amount of starter culture, blending it in, trying(!) to keep it at the right temperature for 12 hours or so (I don’t have a yogurt maker). My results were less than satisfying: the flavor was there, but the texture was always too liquid, and if I left it any longer then I had cheese at the bottom and whey on top. Well, with raw milk from a pasture fed cow (read: healthy cow with healthy stomach flora = healthy milk with lots of probiotics) yogurt making is as simple as setting the fresh milk on the counter. No joke. And it worked: the first week I cultured 2 qts of raw milk by placing it, covered, on the counter for 48 hours. However, I wanted to know what would happen if I introduced some of the cultures I had previously used for culturing. So the second week I did 3.5 qts with 4 different cultures. In the first culture (left), I added a heaping Tablespoon of plain European Style yogurt (from Trader Joes). 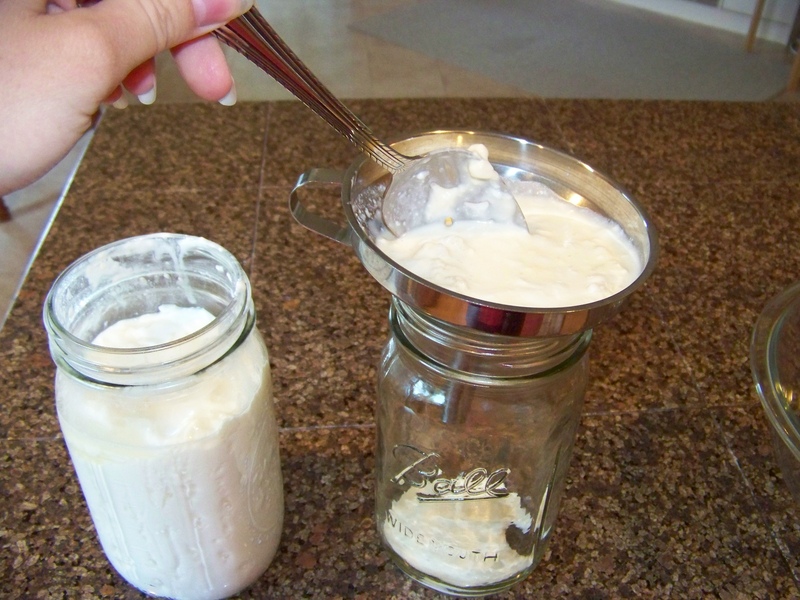 I love this yogurt as a protein snack, and would love to be able to make it from raw milk. In the second culture, I added nothing, allowing the natural probiotics to be the only culture. In the third culture, I added kefir grains I have on hand. 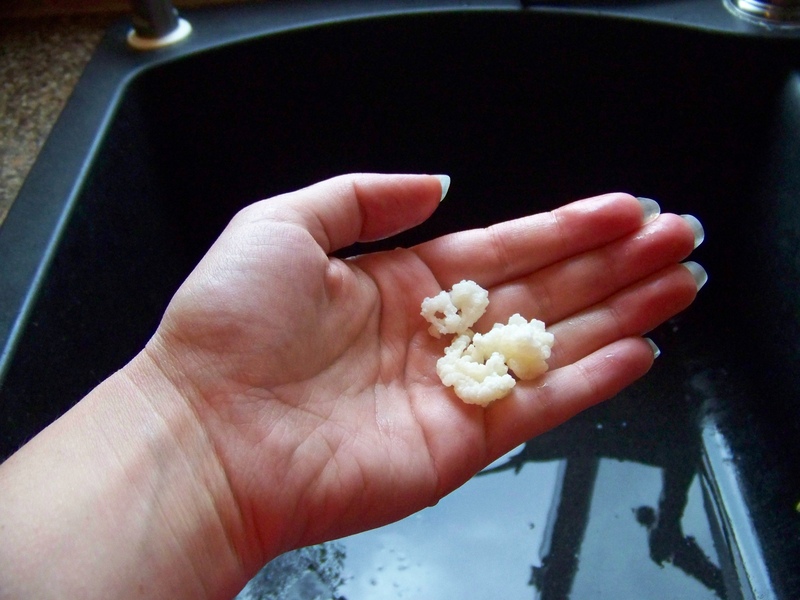 These are squishy tapioca-like curds which are actually both yeast and bacteria that can be reused again and again to make kefir. At right is a picture of about half of the grains after I removed them from the finished kefir and rinsed them in filtered water. In the fourth culture (which was a pint rather than a quart) I added the commercially available Yogourmet yogurt culture. This culture is a powder, sold in boxes with individual packets. I had to use half a packet, as a whole is meant for 1 quart. Of course each culture retained the original natural probiotics which actively culture the milk along with the added culture. I did not heat the milk or warm it at all: it came directly from being refrigerated for 12 hours after coming from the cow. I also did not skim the milk, so the cream rose to the top and was cultured with the milk. You can see the velvety texture of the top cream in the photo at right. European: more distinct yogurt flavor than the others, texture resembles starter (creamier, and less slippery solid than others) but still some of the slippery curd texture; will try 2 Tbs. starter next week. All of these cultures were a success! Now I have plenty of cultured milk products for smoothies and soaking grains all week long. 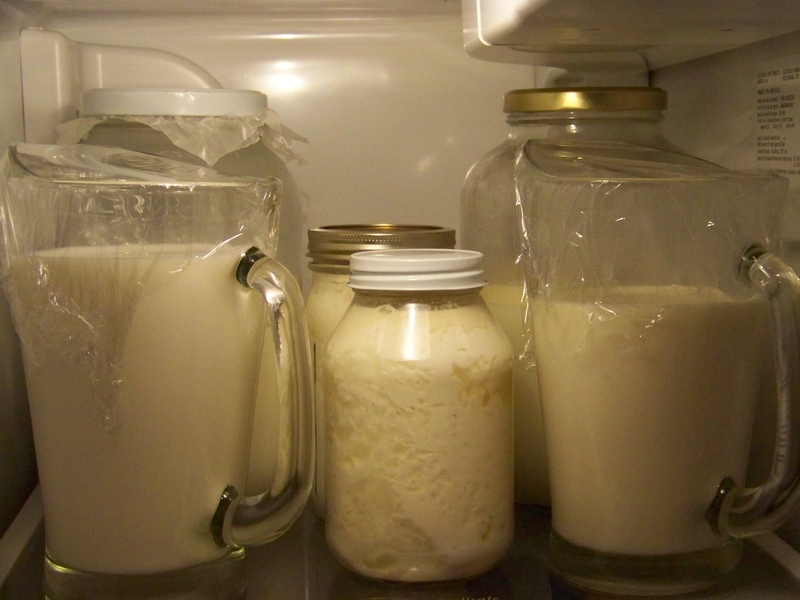 I decided to devote the top shelf of my refrigerator to my raw dairy; gallon of goat milk on the left with its pouring pitcher in front, gallon of cow milk on the right with its pouring pitcher in front, cultured cow milk in quart jars as they fit. Add new culture to milk, if desired. Try 2 Tbs. of a plain live active yogurt, 3-6 kefir grains, or commercial powder to instructions. Set open jars, covered completely with a clean dish-towel, on counter in an out-of-the-way area, protected from drafts is best. They don’t need to be in the kitchen, but should not be in an area where they could absorb fumes, such as a laundry room (detergent fumes) or garage (gasoline, etc.). Wait 48 hours. You can check the culture and stir it during this time: this may be beneficial for the kefir to move the grains around. When yogurt is finished, cap with the jar lids and return to refrigerator. 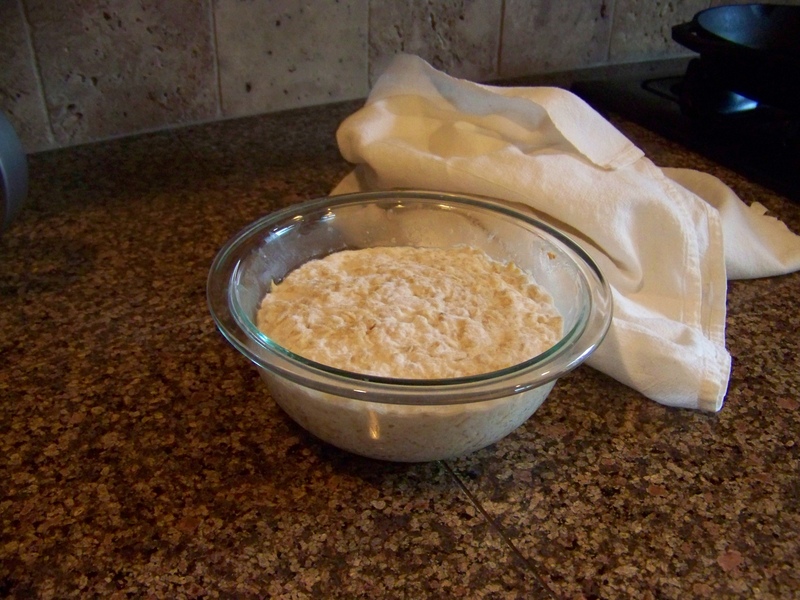 For kefir, straining will be necessary to remove the grains. This can be done with a funnel fitted with a filter, or with a sieve held over an open funnel. Rinse the grains in filtered water and store in a small jar of filtered water in the refrigerator. Wanna know our favorite smoothie recipe? Throw first 4 ingredients in blender; blend until smooth. Add frozen fruit; blend until fruit is finely chopped into smoothie. Essentially it is a different way of preparing cultured dairy similar to yogurt. Lots of good healthy stuff in it. If you can’t find kefir, just go with plain yogurt – that works too. We use True Whey powder by Source Naturals. It is a cow whey protein from grass fed cow milk which has not been heated or isolated; the immunoglobulins are intact and the structure of the protein and essential fatty acids haven’t been altered or damaged. In plain speak that means it’s food the way it comes out of the cow, is a boost to our immune system, and able to be absorbed, rather than over-processed and of questionable health value. I am aware of two other companies which make similar products with low heat: Designs for Health makes Whey Cool, and Garden of Life makes Goatein (from goat milk, for those with difficulty digesting bovine protein). Often people with lactose intolerance do well with whey protein, but if you have an actual allergy to dairy products, try hemp protein, such as Vanilla Spice Hemp Protein by Living Harvest. It is one the the few complete proteins from vegetables. Finally, if you go “protein shopping” you will find many brands and varieties of soy protein available. Rather than a health food, soy is a cover crop that needs to “go somewhere” and is therefore marketed heavily as a health food. Get the real scoop in these articles on westonaprice.org: Myths & Truths About Soy , and Soy: The Dark Side of America’s Favorite “Health” Food a longer article discussing many of the health risks of soy, including hormone disruption at all stages of life. Walk away from soy; there are much better options. This post may contain affiliate links. Thank you for supporting this blog. Hi, I'm Bronwyn, mom of six creative kids and wife to an amazing man. I love the Lord Jesus and I'm passionate about being a good steward of our planet by creating a happy, healthy home for my family. I believe the loving care of women everywhere will craft a healthier future for the next generation. Proudly powered by WordPress | Theme: organicfood by Hipster Theme.